This handcrafted premium gin is distilled in Germany but captures the spirit of Africa. An innovative blend of 14 botanicals combines rare African ingredients with fresh apples that makes Elephant Gin distinct from any other. 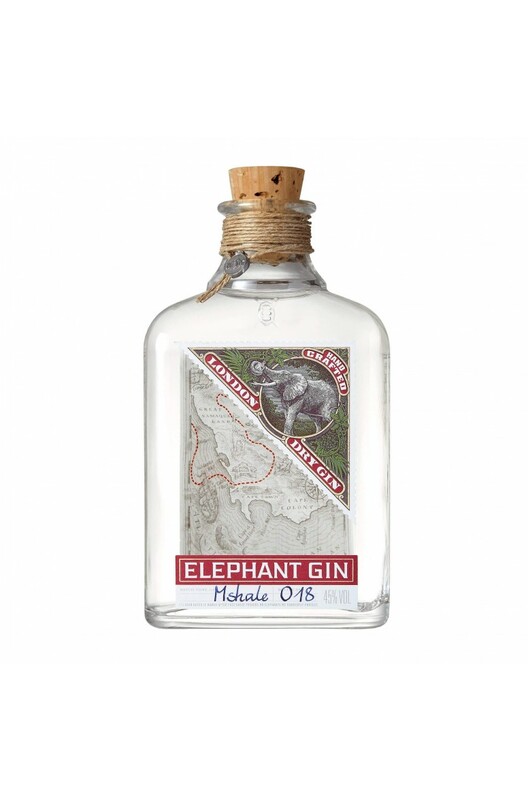 What's also fantastic about this gin is that 15% of Elephant Gin's profits go to two African Elephant foundations (Big Life and Space for Elephants) to prevent poaching. Aromas (without water) A subtle juniper aroma, with an undertone of mountain pine and other herbaceous notes. Palate (without water) The taste is complex but strikingly smooth, encompassing floral, fruity and spicy flavours, which can be enjoyed both straight or in a cocktail.